The East Lake Area is loosely defined as areas east of Lake Tarpon. 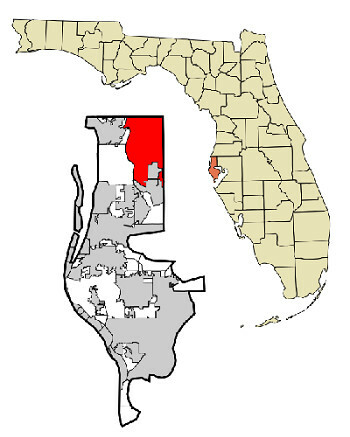 This boundary can fall in either the city of Tarpon Springs or the unincorporated community of Palm Harbor. East Lake covers approximately 31 square miles with a population of roughly 31,000 people. East Lake is found northwest of Oldsmar, southeast of Tarpon Springs city center, west of Tampa and east of the downtown area of Palm Harbor. This area has a very popular with highly rated Elementary, Middle and High Schools which draws many families with children. Here we also have award winning golf courses, a public park with access to Lake Tarpon, a fully functional Library, a YMCA, retail shopping, restaurants, grocery stores, churches, banks, and small medical, dental, or veterinary services. Income levels and home prices in East Lake tend to be somewhat higher than other areas of Pinellas County. You can find luxury estate sized homes, moderately priced single family homes, 55+ active adult homes, gated communities, condominiums, villas, and towhomes in East Lake. Should you be considering the East Lake Corridor as your next home please visit some of the most popular communities below for active real estate listings or call us for help searching out the ideal new home. Selling your home in the East Lake Area? Possibly you are considering a sale of your personal home in East Lake. As you may have imagined our experience in this area is such that we feel we would be the best choice for your listing Realtor. But don't just take our word for it - call or email us to set up a time to visit your property and let us explain our system to you. We'd be delighted to have a few minutes of your time to interview for the job! Ask about our flexible selling commissions too.